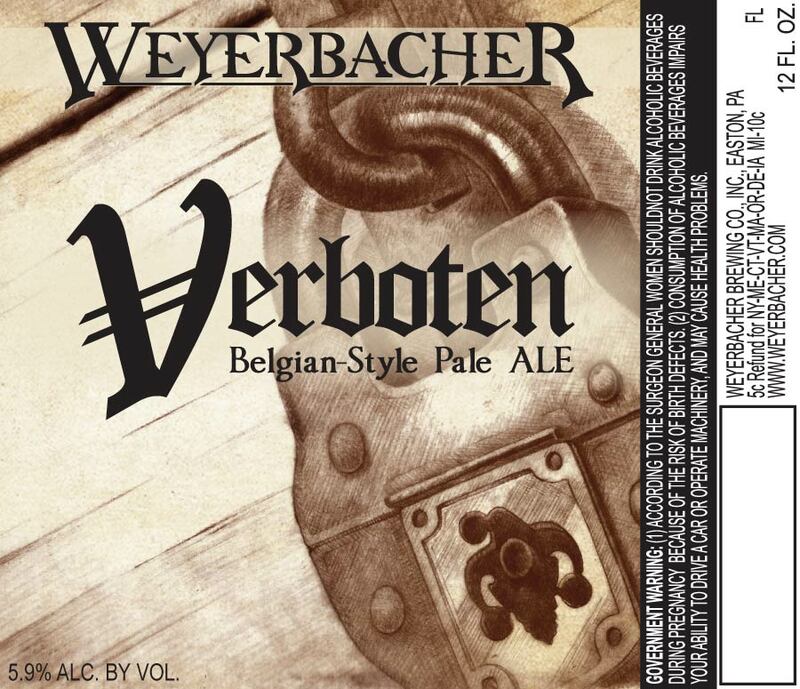 Weyerbacher Brewery in Easton rolled out three new labels as part of their company-wide rebranding process. 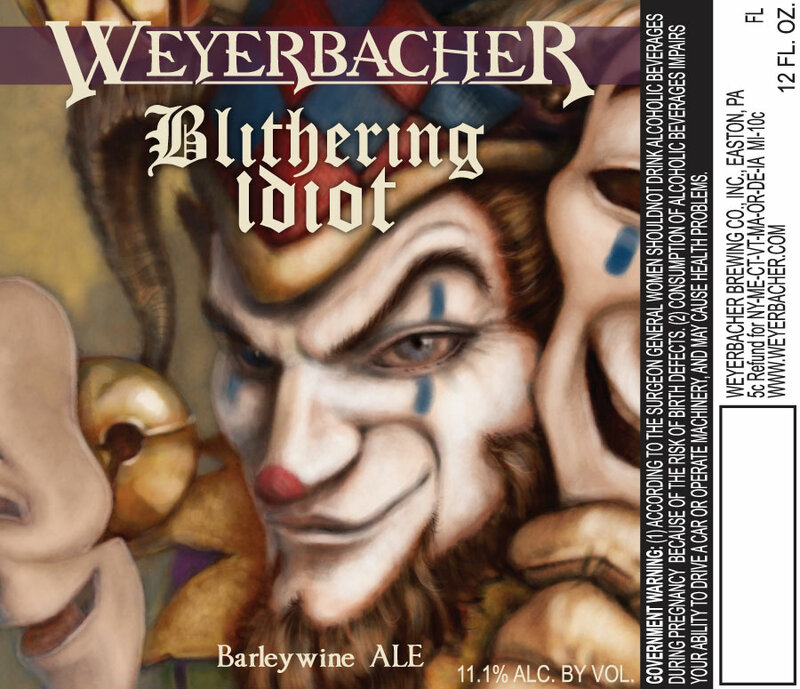 The Blithering Idiot label, for their barleywine features their signature jester who appears to be taking off a mask. 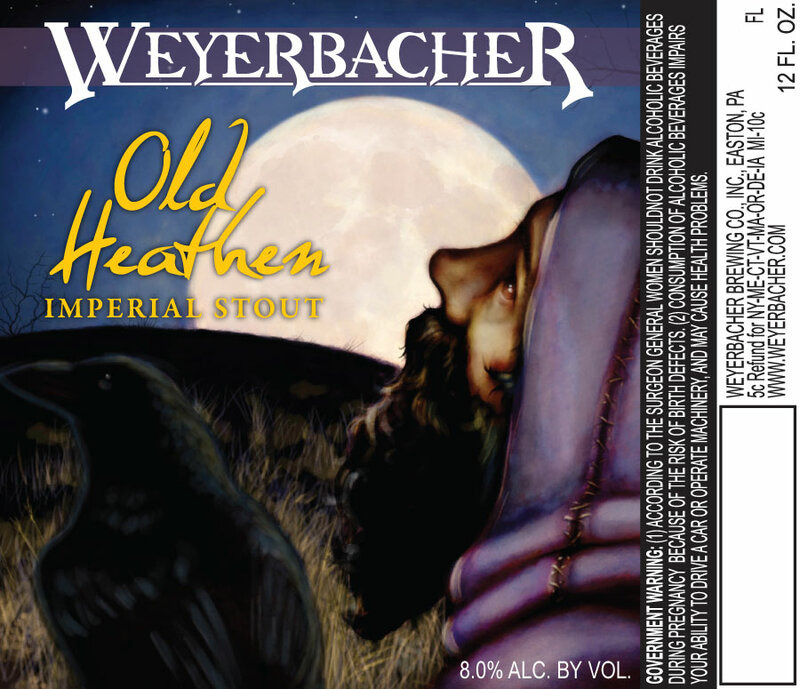 The new Old Heathen label veers off from the old label which features a silhouette of a man walking across a landscape. The new label features what one can assume is the same cloaked figure with a bird at his side staring up at the night sky. The new Verboten label, which was formerly Zotten but had to be changed due to legal issues, features a sketched lock with a jester keyhole. Look for the new labels on the shelves in the coming months.